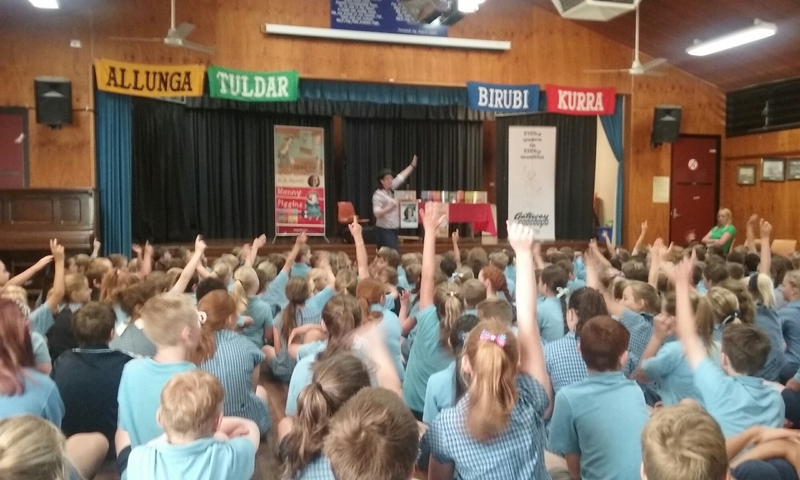 Lots of great questions at Cootamundra Public! ← Wagga tour off to great start. Greeted by Jess of Gateway Bookshop with mug full of proper coffee!